When Captain Morgan rum launched its “To Life, Love, and Loot” campaign in 2011, it noticed that brand awareness was low among young Hispanic males. When members of that demographic were exposed to the brand, however, they responded well to its swaggering Captain mascot and its masculine, quality-focused messaging. As a result, Captain Morgan decided to focus on reaching Hispanic males, particularly Mexican Americans, 21–29 years old, by transforming nightclubs in Dallas, Phoenix, and Chicago that catered to the demographic into replicas of the Captain’s ship and turning an ordinary night out into a rip-roaring branded adventure. 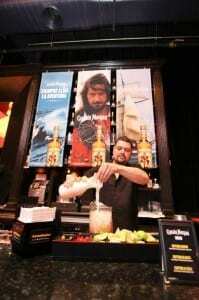 Between September and December 2013, Captain Morgan hosted 13 such events in the three cities, as well as 130 off-premise sampling events and 64 on-premise promotions. All told, more than 15,000 consumers were engaged, and more than 13,000 enjoyed product samples. And it’s safe to say that if any of the club goers hadn’t been aware of Captain Morgan prior to their night aboard the Captain’s “ship,” they certainly were afterward. Coca-Cola - Gold ConAgra Foods, Inc.